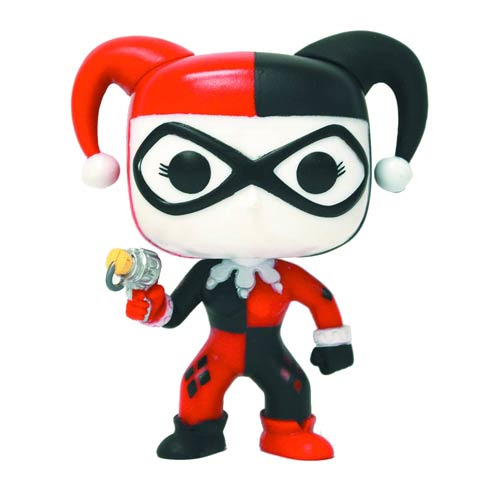 Harley Quinn, the Joker's main squeeze and one of Gotham City's strangest villains, joins Funko's fan-favorite Pop! Heroes vinyl figures line with a Previews Exclusive Glow-in-the-Dark version! Standing 3 3/4-inches tall, Harley features multiple points of articulation and the urban and stylized design that has made these figures so popular. Window box packaging. Ages 5 and up.